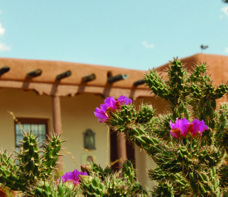 The Museum of Spanish Colonial Art is open on Museum Hill in Santa Fe, and showcases a wide range of changing exhibits. For 87 years the Spanish Colonial Arts Society has worked to preserve and promote the unique art of the former Spanish colonies from around the world, with a special emphasis on the historic and modern-day Hispanic art and culture of New Mexico. 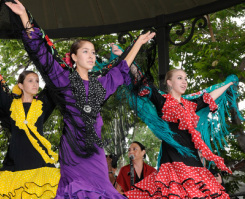 The oldest and largest Spanish Market in the world is held annually on the Plaza in Santa Fe during the last full weekend in July. See photos from Spanish Market! View the photo blog here.